I have to admit that Hulas Island Grill wasn't on my watch list for romantic restaurants in Monterey, and I was initially unimpressed with the ouside facade as I stepped out of my car on busy Lighthouse Ave, but once inside, that all changed! Hulas Island Grill is enormously popular and has ranked #3 on Trip Advisors recommended list of over a hundred restaurants in Monterey. The reason appears simple ... serve tasty food with a great ambiance, excellent and friendly service, and engage every visitor within a fun themed throw back to the 50's and 60's. Hawaii 5-0 was the popular crime TV show during that era. Led by Steve McGarrett, his much used phrase "book em danno" was part of every episode. That Hawaii good feeling has been replacated here, and the owners have wisely added a friendly and personal touch that has local and travelers returning over and over again. Surfing videos and an island theme are everywhere. Everone is friendly and it feels like you just opened the door and stepped back in time and it's nice... much like it's sister restaurant in Santa Cruz CA that has a similiar vibe. While this might not be the most romantic restaurant in Monterey, the casual atmosphere invites great conversation, lots of smiles and creates plenty of memories and it seems everyone leaves happy. Not your typical first "date night" place, but a really fun place to explore since it's not far away from Monterey's Cannery Row. The owners of the Santa Cruz and Monterey Restaurants travel the world looking for spices that will make their food distinctive. Lemongrass, pickeled ginger, jungle curry and a host of others find their way into many of their platters. You will find their dishes are served with large portions and the value is quickly visible. Vegetarian plates are easy to accomodate, and the world famous La Brea Bakery burger and sandwich buns are flown in from Los Angeles just because they serve only the best. While I can't promise this is the exact mix used in Hula's 30 oz Scorpion Bowl. 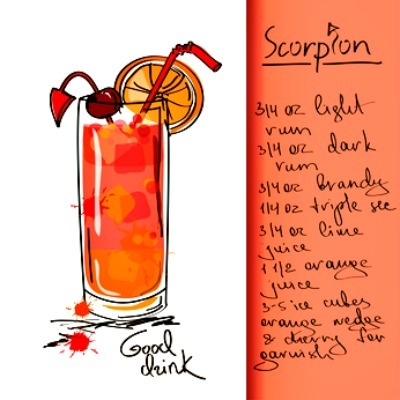 Rum and Brandy are the primary makings for the "Scorpion". Try Hula's formulation ... All 30 ounces during Happy Hour and see if you agree! 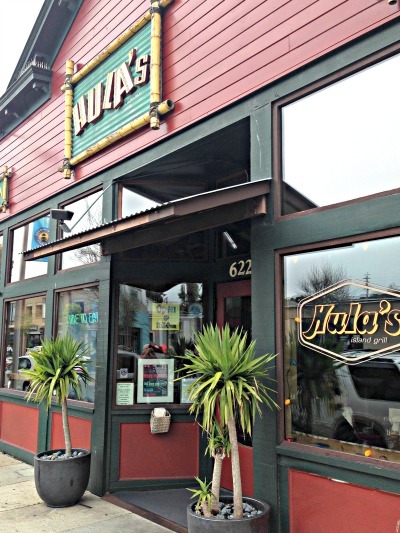 Hula's is a great place to relax, enjoy good conversation, and not break the bank. Sometimes a romantic getaway is more than the best view or candlelit settings ... sometimes it's just a good time together. Hula's does a good job of helping to make that happen.